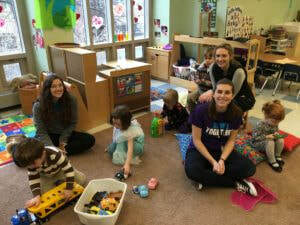 The State College Presbyterian Church welcomes families with Infants and Toddlers. When there are worship services open to all, we normally have childcare. Emma hires caregivers to staff our two main childcare rooms on Sundays and for special programs. All volunteers and paid workers must have clearances. Volunteer and Paid applications are in our church office.